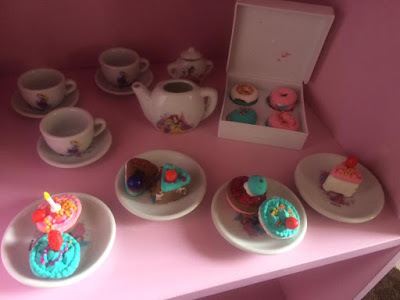 Lexie has been slightly obsessed with tea parties since I brought her a miniature tea set at the start of the holidays, I knew the Poppit Baker would be a great addition for her to create some yummy treats for her to use. The Poppit sets are really easy to use and they allow you to create mini pieces that look really real. You simply pick your mould, add the coloured air dry clay to the mould. There is a choice of four colours, Pink, White, Brown & Green. You load the mould to the popper, and squeeze until the creation pops out. Then you stack your creations then decorate using the glitter glue, sprinkles and the stick in candles or berries. In the set you can make up to 12 creations with the air dry clay. 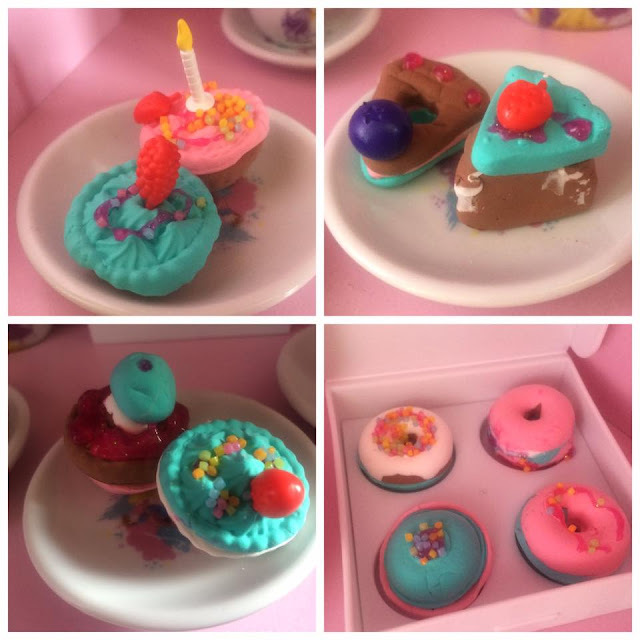 The set comes with a little bakery display case, cupcake box & a cake stand to showcase all the imaginative treats. Lexie has had so much fun, building up the different sweet treats, displaying them and waiting for them to harden so she can use them for imaginative play. Perfect for having some creative fun time in the summer holidays. These are great, although I can see my son wanting to eat them! He was trying to eat the play snow yesterday! !